This official plaque recognizes those squadron members who have earned 10,15 or 20 merit marks. (5 merit mark holders are awarded the Senior Member plaque). 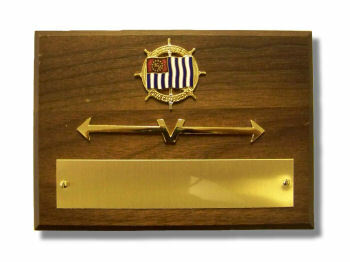 It is the same size as the Senior Member, Navigator or Educational Achievement plaques(4 1/4" X 6"). The engraving includes the amount of merit marks (either 10, 15 or 20), the recipient's name and squadron affiliation.